People urge Twitter CEO to ban Trump for harassment and hate speech with #DoItJack campaign. Of all the awful things about President Trump—all the cronyism, corruption, illegal executive orders, and resistance to fact—somehow his unhinged Twitter account remains high on the list. Perhaps it's that he can crater entire economies or focus the dangerous ire of millions with a typo-ridden tweet, or maybe we're just jealous crybaby snowflakes with fewer followers than him. Either way, people are pretty sick of seeing him continue to launch insults from his unsecured Android phone when he could, you know, be getting an intelligence briefing now and then. His latest attack targeted U.S. District Judge James Robart, the "highly regarded GOP nominee" who brought a temporary end to his travel ban for people from some majority Muslim nations. This was enough to prompt some to call for a permanent POTUS suspension. 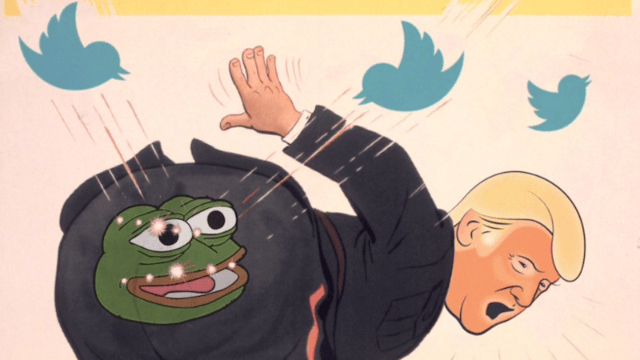 The #DoItJack hashtag emerged as a way to hold Jack Dorsey, Twitter's CEO, responsible for allowing Trump to promote hate speech on the site—the kind of thing that other Twitter trolls have been exiled for. Hey @jack - he's going to get someone killed or hurt. Maybe (likely) a lot of someones. Ban him. Yo @jack. We got your back. Mike Monteiro, a San Francisco resident who co-founded Mule Design Studio and has led the latest campaign to throw Trump off Twitter, outlined the all the reasons it makes sense—and why it's not a violation of free speech. Why Twitter should ban Donald Trump. Dorsey himself has yet to respond to this latest outcry, but no doubt he saw what happened when Uber broke a taxi strike in New York over Trump's Muslim ban: Hundreds of thousands of users deleted the app, and the CEO had to formally cut ties with the president in order to save face. Of late, these kinds of digital movements seem less and less likely to simply blow over—so Dorsey may find that the pressure to "do it" may only increase in the weeks ahead.